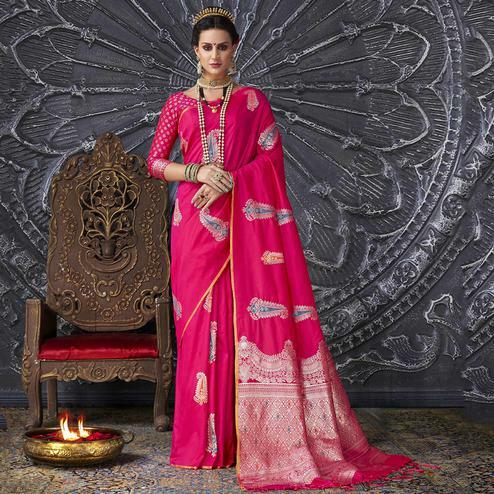 This attractive color combination of fuchsia saree with teal blue blouse makes this ethnic piece a unique one. 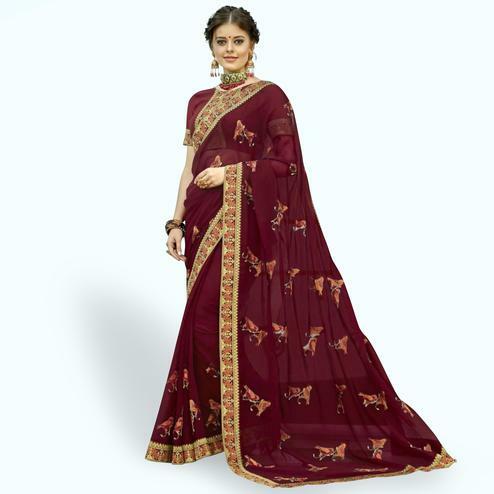 This saree has been made out of quality silk fabric and detailed with patch work done over the matching color lace and embroidery work done all over in traditional and leaf pattern. 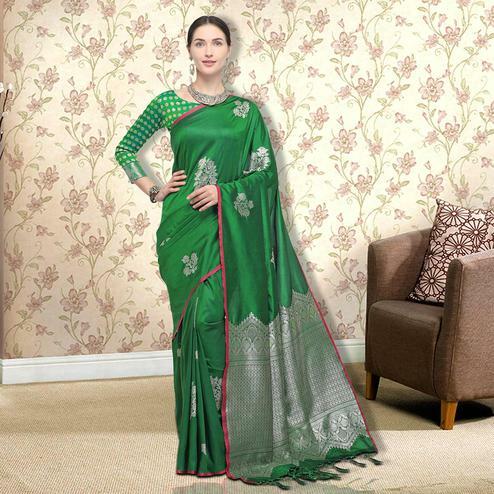 Available with heavy embroidered work art silk blouse piece. 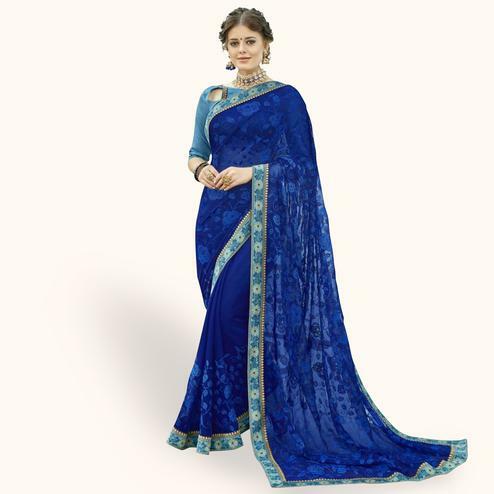 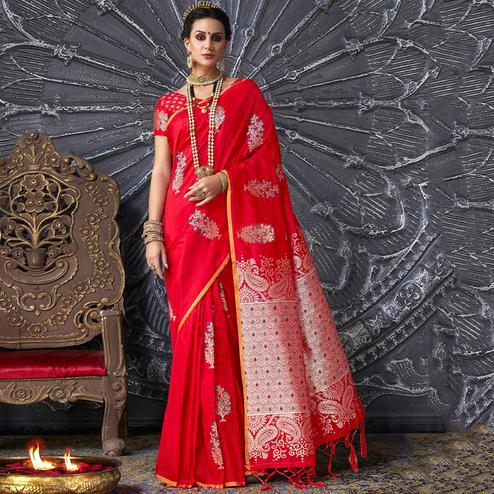 Women can wear this saree for parties functions and occasions where they want to appear in ethnic clothing.